For the past month I’ve been wanting to highlight this cocktail, not only because it’s a strange combination of Mint and Cucumber, but it’s also quite possibly one of the best cocktails I’ve ever had (and knowing this blog, that’s saying something). So as is the case with many of my favorite drinks, this one comes courtesy of Common Man Cocktails. Their more classic rendition of the East Side shakes the ingredients and strains out any of the vegetable partials, which to me seemed a bit wrong. So I opted for creating a smash style variation that I feel is far superior. Smash drinks in general will contain less common ingredients and will often leave the renaming chunks in the glass after muddling (hence the name). This cocktail is really something amazing though. It’s taste reminds me of summer. It’s refreshing, colorful, and goes down smooth (regardless of your choice in gins). The mystery of handing someone a glass with cucumbers mashed into it is both inviting in it’s color and it’s curious differences. It has a strong smell of cucumber and gin, with very small hint of the mint (if you didn’t know it was there you wouldn’t know what you were smelling). 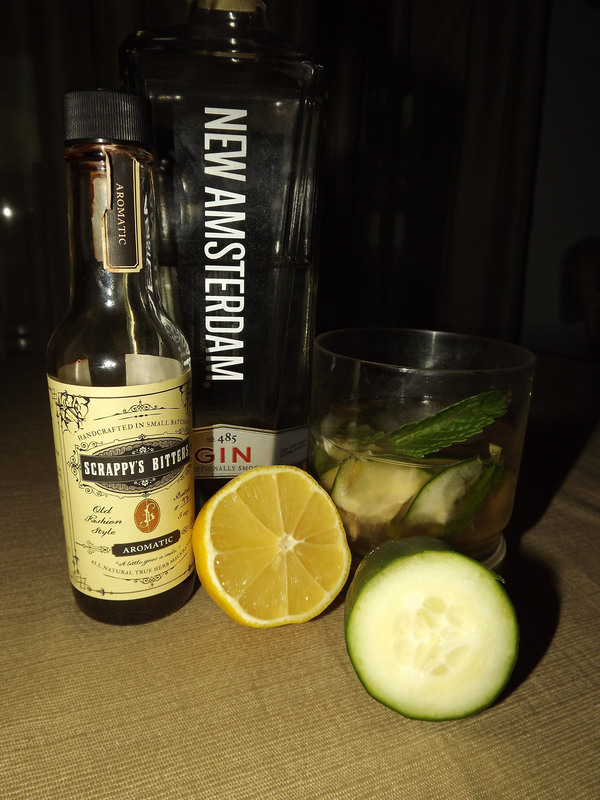 The drink starts off sweet, moves quickly to a mild sour, and finishes with the complex blend of the gin, cucumber, and mint. 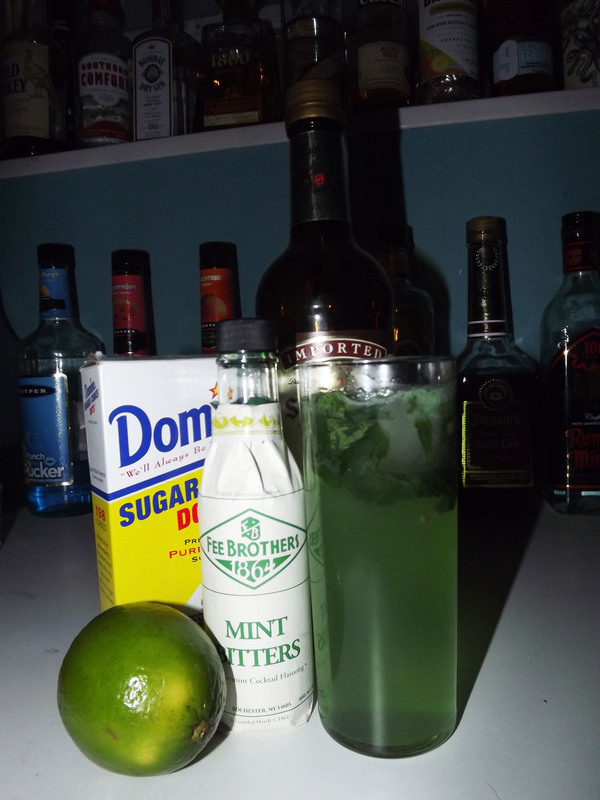 I should really note here that the mint (while vitally important) doesn’t add a ton of it’s own flavor to the drink. Instead it acts as a way to cut through the more intense sour of the lemon, and round out the more “green taste” of the cucumber. This cocktail goes well beyond just a “make it again” recipe, it now belongs on the menu. In fact it might be one of the highest rated cocktails I’ve ever reviewed! Although now I guess I need to start buying cucumbers on a regular basis now. In a rocks glass muddle together mint, cucumber, lemon juice and simple syrup. Add ice and top with gin and bitters. Stir well. Enjoy! 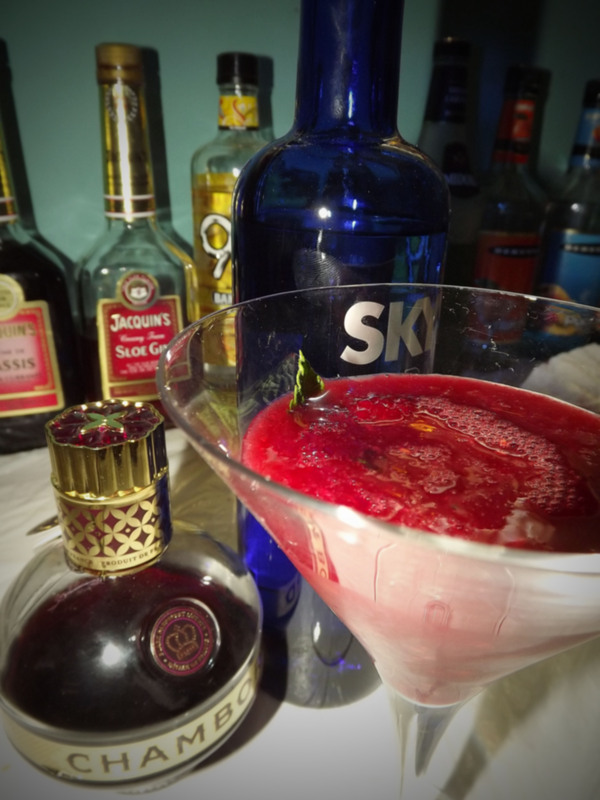 With so many heavy hitting drinks on the blog here, I decided it was about time to post a drink that someone of any age can enjoy. The “Southern Belle” is a refreshing minty drink right in time for a warm spring. 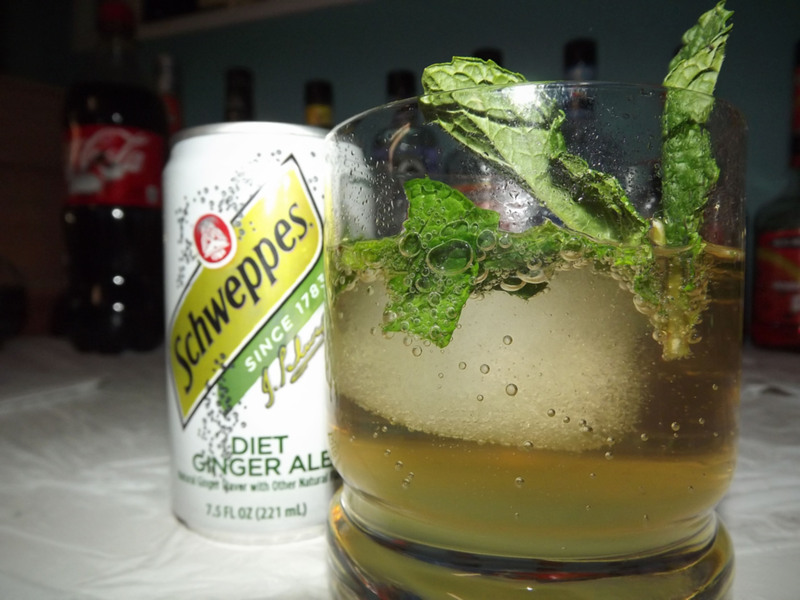 The fresh mint builds an aromatic start with a traditional taste of ginger ale. As it reaches the back of your taste palette you’ll get more of the sweet mint flavor (especially if you grab a mint leaf as you sip). This is a great one for all ages, and perfect for sitting in the afternoon sun. 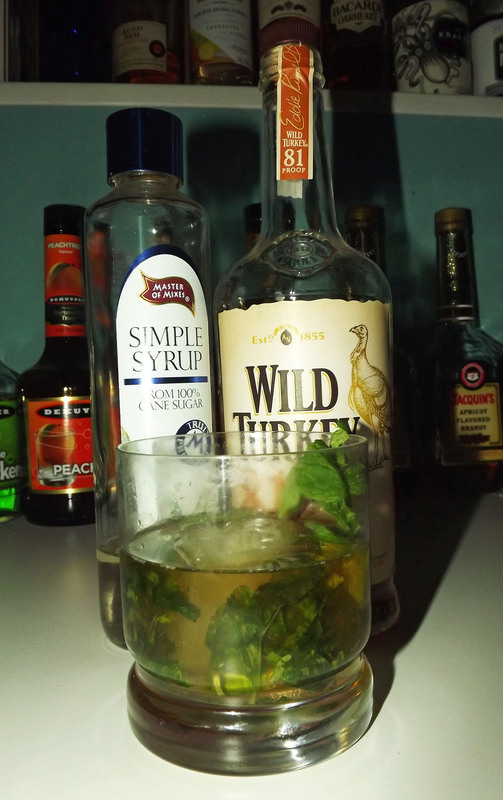 Muddle sweet/sour/ mint leaves, and simple syrup together in a rocks glass. Add ice and top with ginger ale. Garnish with a mint spring. *For an alcoholic version you may want to add in 1.5 oz of bourbon. This really feels more like a smoothy than a cocktail. 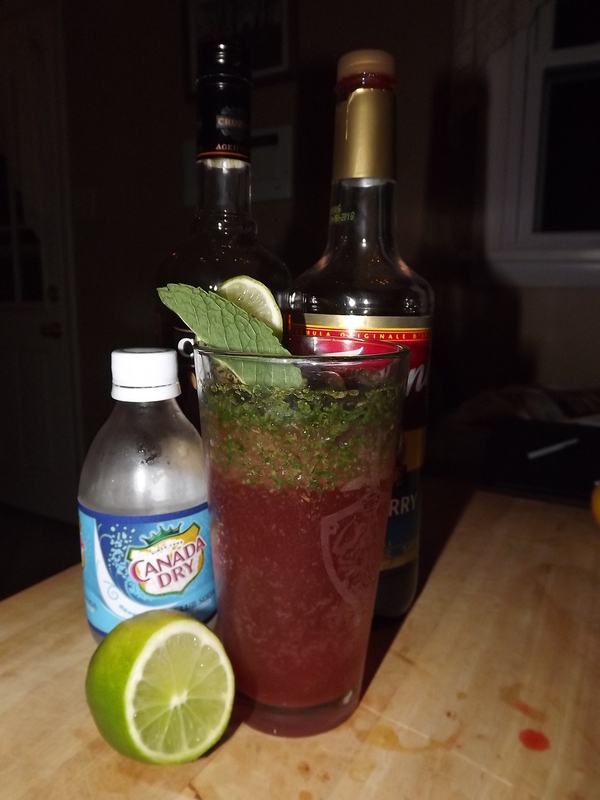 This is a very pleasant drink with equal taste of raspberry and mint. I will say this though, if you have a double strainers… use them! Even with a classic hawthorn strainer, the raspberry seeds are littered throughout the drink making it slightly less pleasant to spit out or chew the seeds. Make Again? Yes, but needs a more thorough strain. Muddle together raspberries and mint. Add ice and liquid ingredients, and shake.